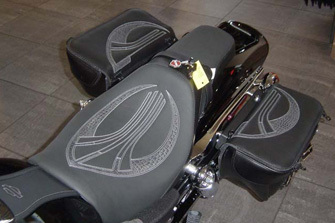 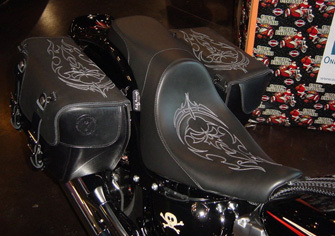 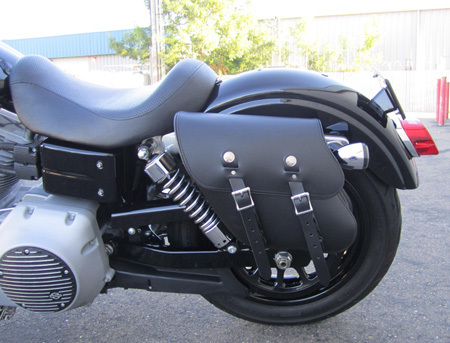 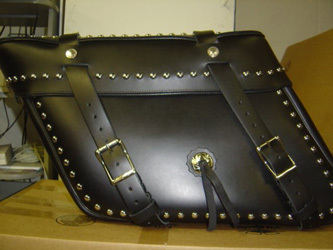 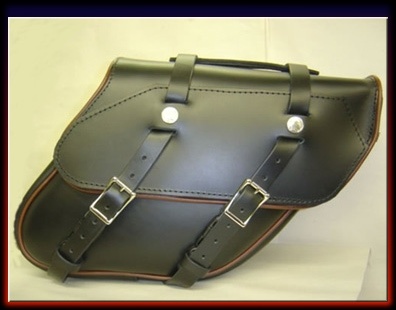 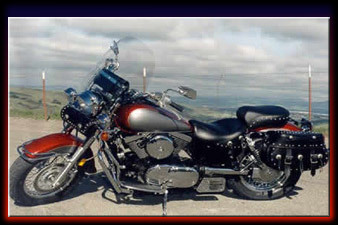 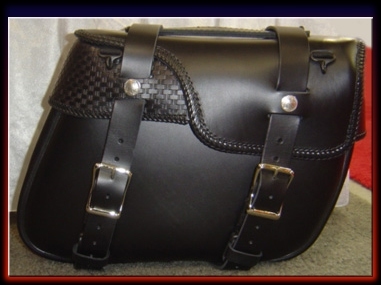 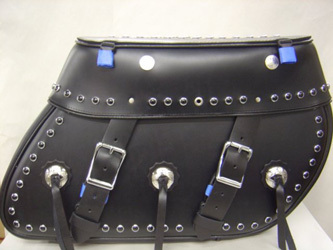 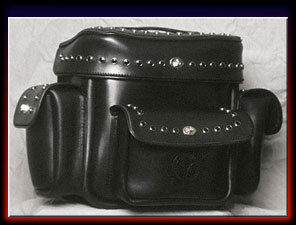 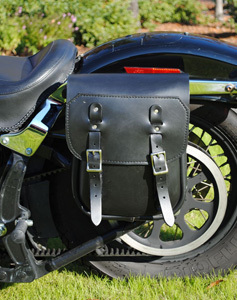 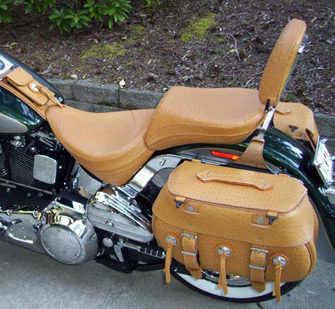 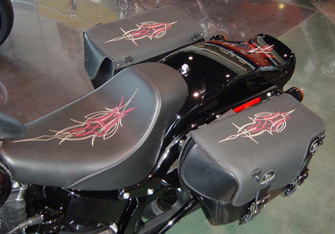 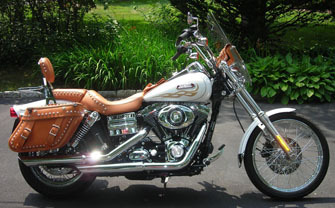 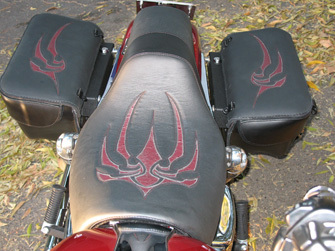 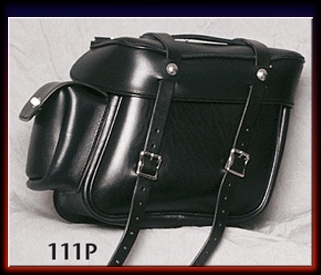 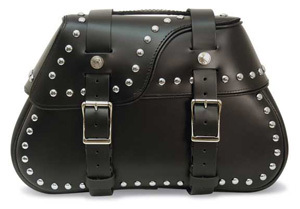 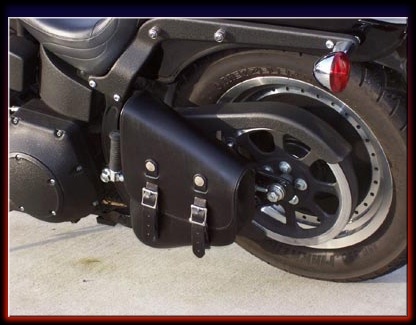 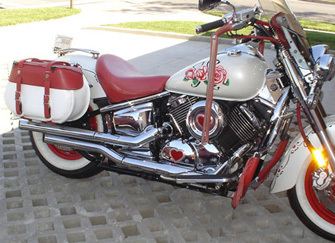 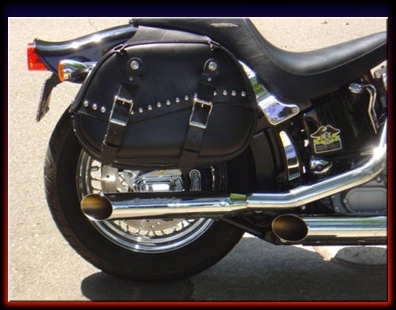 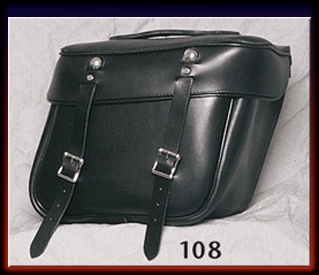 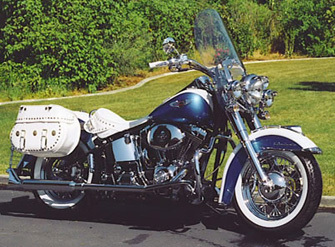 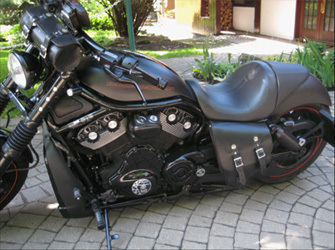 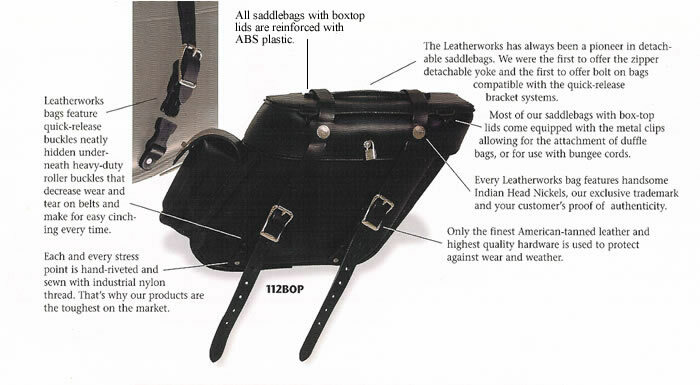 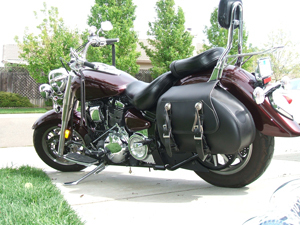 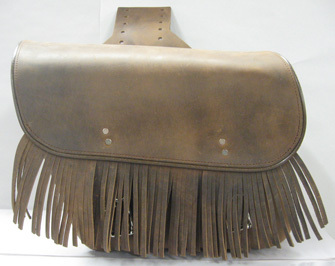 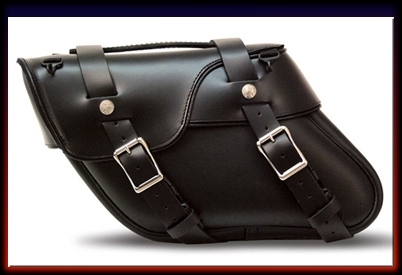 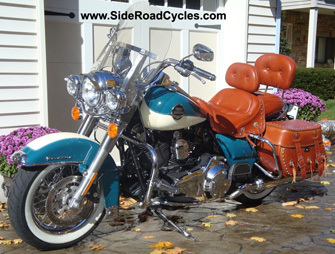 Web Page Under Construction - - The 404 Saddlebags are retro looking bags made with distressed brown leather with black streaks and minor flaws. 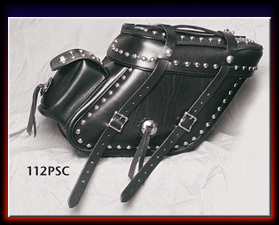 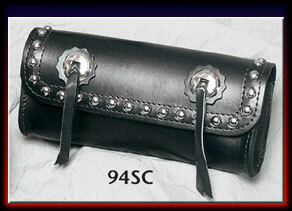 The weight of the leather is about 8 ounces. 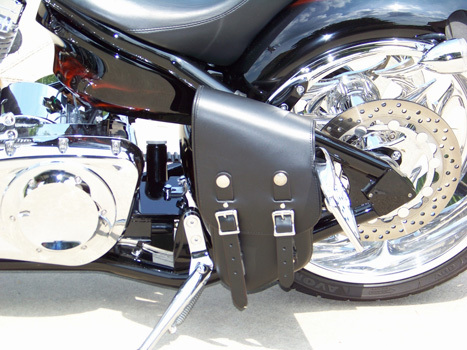 It can be made throw over or bolt on for use with the Easy Brackets or direct bolt on kits. 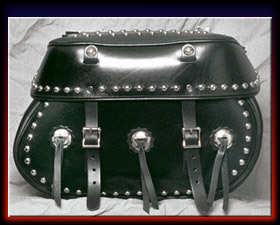 It measures 12" x 13" x 6.5 ".